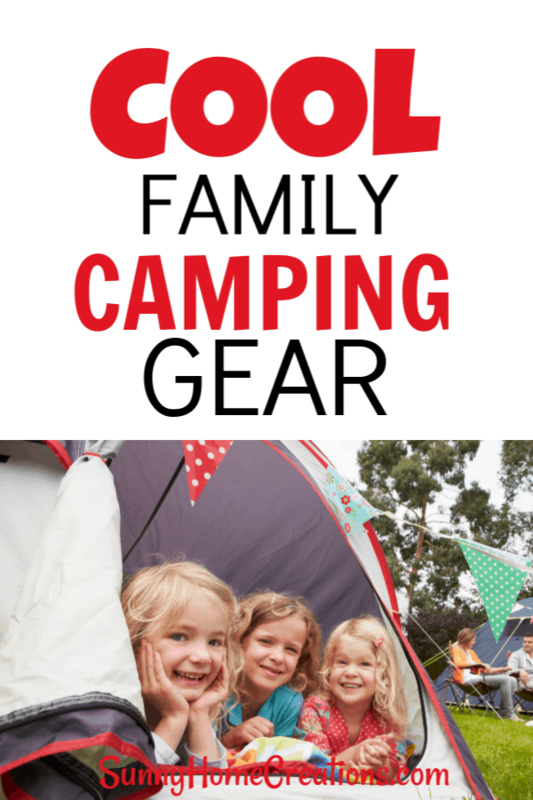 If you’re looking for cool camping gear that’s perfect for families, you won’t want to miss out on these great options! Ah…camping. Who doesn’t love spending time in the great outdoors? Camping is one of those family-friendly adventures that seriously gives back much more than so many other activities. Plus – there are cool camping games you can play! Nature has a way of bonding families that other options can’t even hold a candle to. Not only does camping get everyone in your family out and enjoying all the beauties of Mother Nature, but it also is a fun way to experience “roughing” it and getting to be creative in resources at the same time. No camping trip would be complete without some fun and cool camping gear to help bring even more excitement to the overall adventure! These cool camping items are certain to be perfect for kids, adults, and anyone in-between! These camping gear items are certain to take your camping adventure to a whole other level of fun! And when camping, it’s a MUST to have s’mores, right? These marshmallow roasting sticks are perfect for toasting the marshmallow of your dreams over the open campfire. Whether you like it burnt, brown or barely even warm, every person in your family needs their own marshmallow roasting stick to cook their own! Speaking of s’mores, did you know that you can actually buy an entire caddy already fully loaded of EVERYTHING that you could need or imagine for making the perfect s’more? Think of it like a tackle box for chocolate – perfect in every way. Plus, it even has a handle that you can carry it around with. If you’re looking for s’mores made simple, this Hershey’s S’mores Caddy is calling your name. One of the best parts about camping? These Super Bright LED Headlights are amazing camping gear items for the family because everyone can wear their own! No more stumbling over rocks or squinting to see the path…with these headlights, you can find your way around with ease. Have you seen the Cairn camping subscription boxes? Each month a variety of items are sent to your house. These items can be apparel, different gear (such as lighting or cookware), food, skin care or emergency supplies. These are such a great way to try new camping supplies and gear. We have several different lantern flashlights and my kids love using them – even when we aren’t camping. They are perfect for camping though. Not only are these flashlight/lantern combo bright, but you can also hang these portable lanterns inside your tent at night, making it the perfect tent light. Finding campfire games to play together is one way to make memories that will forever last a lifetime. One of the best games that everyone in the family will love? Spot it! Camping. Having your campsite lit up for the astronauts to see is part of the fun as well. It’s almost a given that you need to have some sort of string lights hanging around for decoration. These Coleman lantern LED lights are too adorable, and literally…too perfect. Forget the chairs, when camping a fun hammock is all that you need! This Outdoor Hammock is certain to provide hours of relaxation, rest and entertainment for the kids. While you may want to sit and swing peacefully, the children may have other ideas in mind! And if having one hammock isn’t enough for the entire family to relax on, you can get that this portable inflatable lounger is certain to do the trick! It’s comfy, it’s big and it is literally made for the outdoors! All that you have to do is inflate and sit. Grab a book, a snack, or just catch some zzz’s on this super comfy lounger! If you don’t want to inflate your chair, check out this awesome camping chair. This Amazon basics camping chair is padded, has a beverage cooler pouch, a magazine holder and a cup holder. They say the beverage cooler pouch is for beer, but us Moms know it’s great for water, bottles, sippy cups and or even snacks you want to keep chilled and handy. The magazine holder would also be great for holding a book or crayons and a coloring book. This is pretty slick – you can convert the back of your pickup into a tent. If you have a toolbox or a bbed linerthis tent should still be able to fit in the back of your pickup truck. If you are wanting to get up off the ground when camping, using the Napier Backroadz Truck tent is a great way to do so. I don’t know about you, but I find sleeping on the ground when camping incredibly uncomfortable unless I have some sort of sleeping pad under me. This Sleepingo sleeping pad is awesome! It’s inflatable and lightweight. Once inflated it is approx. 2″ thick. I am always very picky about my water. I can taste it when my water has been in a plastic water bottle and it prevents me from drinking as much as I should. Being able to filter my water while out in the woods (with an actual good water filter) is great! My husband and I had a water filter when we drove across the country and it helped us out so much! It cut down on the amount of bottled water we purchased since we could filter the water out of the rivers and lakes we came across. We used the water we filtered for drinking and cooking. This Sawyer One-Gallon Gravity Water Filtration System is perfect for camping with a group. This Ozark Trail Base Camp 14-Person Tent is perfect for families! Everyone can sleep in one tent, but each person (or a couple people) can have their own dedicated space for sleeping and keeping their bag. This is great if you have small kids that you want to keep near you while camping, but also want a little space for yourself. I can see using this inflatable backseat air bed mattress is so many situations. When I was a kid, my sister and I loved sleeping in our camper van. We used to rent a cabin at a lake and the mattress on the fold out couch was horrible – lumpy and the springs would poke you. So my sister and I would sleep in the van. It was so much more comfortable and we felt like it was an adventure to be out there while our parents were inside the cabin. I could see this backseat inflatable mattress providing the same level of adventure to my own kids. This is super cool guys! This Pocket Star Finder will help you identify what zodiacs you are looking at in the sky. You match what you are seeing in the night sky with what is on the wheel. What better place to use this, then while camping? Many times, the stars seem brighter without the city lights. These dark, clear skies are perfect for viewing the constellations. If you are roughing it and need/want the ability to shower in the woods, bringing a portable outdoor camp shower with you is a must. For this camp shower ,you just need a bucket filled with water and this will pump it up to through the shower head. You can get about 7-8 minutes of use by using a 2.5-gallon bucket filled with water. This hanging pod/tent is the perfect spot for kids to cozy up in. They can go in here and read a good book. Or it would make the perfect hiding spot for your kiddo while they do some bird watching through the windows. This camping stove is awesome. You can just screw it on to butane fuel canisters. This stove is super easy to set up and start. Plus, you can control how high the flame is. Boiling water with the Etekcity ultralight portable stove is quick at only 3.5 minutes. And it is windproof. Have you ever tried starting and keeping a flame going when it is super windy out? It’s hard. I think these SunJack 20W Solar Chargers are amazing. You can attach these to your backpack so the solar panels charge while you are hiking. I don’t know about you, but I do consider my cell phone an essential when camping. Not so I can be on it the whole time, but if there is an emergency and I happen to have cell service (that isn’t guaranteed) I want the ability to use my phone to call for help. My phone battery drains super quickly whenever I’m not near a large town or city. Have a way to charge it is great. This solar powered charger can be used for more than just your cell phone. You can charge anything with a USB cord. Check this out, you can use the Scrubba Wash Bag to do laundry while you are out camping. This is perfect for when you want to travel light and make sure you have enough clean clothes to get you through your trip. This is a great way of making sure you have an assortment of tools with you, but not the huge bulk and weight of bringing your toolbox along. There are all sorts of different Leatherman multitools, so you can make sure to get one with the tools you think you will need. This way, if something happens while you are camping, you have the perfect tool that you need for the job. 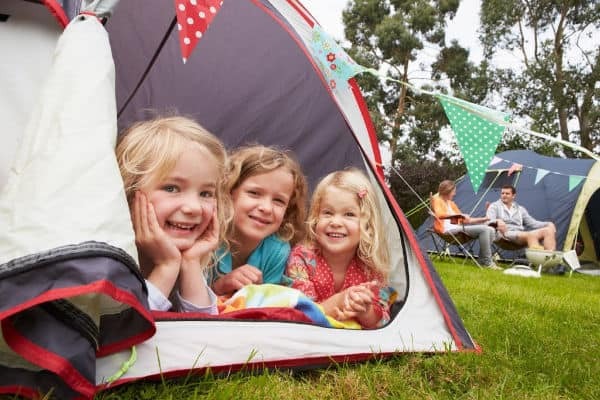 While camping is always an amazing time on its own, adding some of these fun camping gear options can be a great way to add a bit of diversity to your camping adventure! Above all else, remember to enjoy the time together with your family and let Mother Nature do her trick of relaxing out of the rat-race of life.